So I wonder if fans will be segregated tonight? Also hoping that Compton will be available. I hope there is no segregation. Has there been any historical need? I can't remember attending any of the previous derbies, bit before my time. I seem to remember the Merthyr and Newport games needing segregation and a police presence but, you know, different circumstances. Hopefully not and can't recall any problem between both sets of fans in the past.............the wall collapse at Chippenham a few seasons ago wasn't anything to do with trouble between fans other than City scoring ! One of the attractions of supporting non-league is the lack of segregation and some good natured banter between fans who generally are all well behaved. up the City !! The wall collapse "a few seasons ago" was 14 or 15 years ago - doesn't time fly when you're having fun? No need for segregation I'm sure, but wouldn't mind it, if only to ensure all our supporters are together. Would make for a better atmosphere I reckon, as opposed to being spread all round the ground. Anyway, looking forward to the game. Should be decent. Yes, welcome back to the big time Bluebird! Is Simon Maine still around? Simon Main is still around - just not around Chippenham. He moved to Portland last year. Good friend of mine, so still keep in touch. He hasn't changed, the nutter. Anyone care to comment on what the hell that was all about? What an absolute shower of sh1te. No two ways about it we were shown what a football team looks like. I feel really sorry for the 1000BC team. All that effort undermined by one inept performance. I expect GO will say he is angry. Well I'm a bit fed up with hearing that. I was underwhelmed by Jarvis and Lucas playing together in the friendlies and yet he started with them here. They spend all the time trying to avoid each other and the ball. They will perform better individually. Presumably Jones has been brought in for his pointing and shouting abilities because I am faster and I'm 60. Welsh Hayes looks dodgy at RB in a way he never did at LB and when you are 5-1 down I can't think of a question where the answer is Rigg in midfield. Yes the players were shambolic but they weren't helped by selection. I think it shows how important Nick McC is. Hurry back Nick. I feel sorry for the sponsors having to pick a man of the match. Last season we seemed to struggle to be first to the ball. This evening we weren't even second. Can only get better and we scored a penalty! Steve Whites Missus wrote: I feel sorry for the sponsors having to pick a man of the match. Unless I missed it, I'm not sure that one was announced. So that was either an editorial decision by Junior, or the sponsors decided that there wasn't anyone worthy of the title. Either way, fair play. Neither Jarvis or Lucas shone, but we have far greater problems because defensively, for the second game running, we were a shambles. And if you keep going into half-time with two-goal deficits you’re asking a lot to turn it around. Ok, we were aided in the second half of last season for having a class act at the back (made his debut for Reading tonight, incidentally), but that set of players tonight can produce better. Don’t get me wrong, Pratt and Sandell are superb. Why Sandell hasn’t spent more of his career in the league is a mystery to me, assuming it’s personal reasons to remain part-time because, with all due respect to Chippenham, he’s better than their level. I went into this game with a sinking feeling because I couldn’t see how we’d be able to handle them both, and that’s just two of 11 players. I wouldn’t have complained had we set up more defensively to handle it, instead we had Ryan Case dropped, which I wasn’t sure about, and Jack Batten thrown back in with Ball not even on the bench. I feel sorry for Southwood in goal, who, barring one errant punch under no pressure, hasn’t done much wrong in my opinion, yet he’s conceded eight. We must sort out the lack of communication and pathetic ability to defend crosses or long throws. It’s feeble. Someone needs to take some responsibility. Despite what I just said, is that down to the goalkeeper as well? He seems quick enough off his line to me, but someone might offer an alternative view. Personally, I’d put Rigg at right back with Welch-Hayes back to the left for a start. Probably give Watkins and Lemonheigh-Evans a go up front together as, although there’s a lack of height, they have enough about them to give teams problems. Three goals between them suggests that. If McCootie is fit I would be tempted to send him straight in. For the third time in four seasons we have made an underwhelming start to the campaign. Ok, one was a previous management team, but a few of the players remain. We should have learned from these. Despite that, I don’t think for a second that we’re going to struggle. There is enough in that team to improve and pick up results, but unless we suddenly click defensively, we won’t be troubling the play-offs either. And credit to Chippenham, they won’t forget this night in a hurry and they should be proud of their team. We've had some great wins against them and tonight is their time to party. If they hadn’t taken their foot off the gas, they could have easily scored 8 or 9. Netted in 44 of 46 matches last season and it was easy to see why. For me the biggest problem is Jones, in more ways than one. He has to go, how can he play 90 minutes and Dan Ball did not even make it on to the bench? Dan Ball was fit, I asked him afterwards. Jack Batten is a confidence player and clearly he needs someone alongside him to give him that confidence. This is not Jones, Owers needs tell him to go away and get fit and then we will look at the situation again. Agree that there are players at the club who are better than what they have shown tonight but we must sort out the centre of defence. Hope Owers is not going to be bloody minded and keep selecting Jones. I think Artus won more headers in our penalty area than the centre backs. Would also do as Junior says and put Rigg at right back and with Miles going back over to the left. We have scored 2 in 2 and have been let down by a back four and goalkeeper who don't look like they have been introduced. Actually, that is unfair, Welch-Hayes looked ok and I am not sure that Straker did much wrong. I have to say that Jones worries me. He did an appalling back header (which actually didn't lead to a goal) and seemed to blame Welch-Hayes for it. I am all for players being bollocked by a captain when they bugger up but a captain also has to take responsibility. comrade powell wrote: To be honest, I thought Chippenham were better than anyone we faced last season and we won't be the last to suffer from their pace and clinical finishing. One of their people in the press box noted the "familiar combination" of Pratt fouled and Sandell scoring the resulting penalty. I personally thought it was a bit of a soft one but that's clutching at straws, made no difference to the outcome. We were lucky to go into half-time only 3-1 down. Unsurprisingly, Sandell missed the only penalty he ever took for us. Probably scored every one since. How on Earth was Jones ever signed and then made captain????? The game was terrible from our point of view. The defending became comical and I had to suppress my desire to break out into the circus song. I didn't like Straker either, who doesn't look strong enough in defence and Jack Batten had an absolute shocker. Not as optimistic as Junior about our chances with this shower. I wasn't going to comment but I am still quite numb about the result tonight and the previous postings have stirred me into responding with my thoughts. Firstly. and most importantly, we have had a good pre-season workout, and I would urge everyone to hang fire on the merits or otherwise of the team management. Two League games is not nearly enough to 'hang' people, and, despite those, including me, who think that seven friendlies are enough to establish the cohesion necessary to start the season with all guns blazing, the truth is clearly that it isn't. I heard some pretty crude and vociferous comments tonight from the terraces before the game was not even nearly over and I am fairly certain that the players and management heard them too. It is not nice to be losing to a newly promoted team at home by the margin that we were, but it could just be that they are better than us, despite all our efforts on the night. The time to vent fans anger though is after the final whistle! I am just as disappointed at the result as the most animated City fan, but I must urge everyone of us to stand by Garry for the present in order to let us see just how good a manager he is. He has committed the completed squad he has assembled to achieve a top seven place come the end of the season, so please give him the space to try to set about achieving this. We already know that he has some ability by the way he comfortably lead us out of relegation last season. Like some others who have contributed to this thread I think that Junior's observations/ comments about tonight's game are sound, but let us please give the current team management the chance to get things right. Peoples consternation after two games can be construed as commendable because it displays ultimate passion for City, but I believe we now need to give management a reasonable amount of time to do the job that that they are employed to do. If they fail however you can be sure that I will be at the forefront of the protests for them to resign. Marc Monitor wrote: I am not sure that Straker did much wrong. He got a lot of stick for letting Pratt past him too easily leading to the penalty and I have to say it looked like he could have done more. He looked decent going forward with one excellent run and a couple of crosses. Give the Batten-Ball defensive partnership a chance if only for the potential headlines! A very worrying start to the season especially defensively. Both fullbacks seem to be better attacking than in doing defensive duties. It is easy to see how important Axel and Manny ( while he was here ) were to us last season, and Jones who looks overweight and not match fit, is clearly not as effective as those two. I imagine Owers will have to adopt a much more defensive lineup against Chelmsford because if we keep on conceding goals at the present rate the team will soon become demoralised. Presumably Jones has been brought in for his pointing and shouting abilities because I am faster and I'm 60. Has Gary lost the dressing room by bringing in old pal Jones and making him captain . Unfit and none committed . Well, what can I say? That was a once in a lifetime "I was there" moment for someone who's been watching Chippenham since I was a little boy, 50+ years ago. Very proud of our display, of course, but I felt for the City fans I was stood near to on the terraces behind the dug-outs. My mind went back a few short years ago to when I stood and watched Stourbridge put 9 past us at Hardenhuish Park, closely followed by Bideford(!) scoring 7. 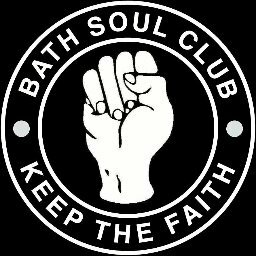 Never did I think we'd be where we are now, so I guess the message to Bath fans (who I have a lot of time for, having watched City a lot over the years) is that the sun will shine again. You just might have to sort out a few issues already mentioned in this thread. Darren Jones probably hasn't unravelled himself yet after that chasing. We'll get some beatings too, that's football, but that's all it is. Excellent programme by the way. Top drawer, so well done to whoever puts that together.